What Happens to Your Raw Scrap Metal When It Is Recycled? If you’re a current scrapper or you’re interested in bringing some scrap to Encore, you’ve probably read or heard a good deal about the ways in which recycling scrap metal helps the environment and the economy. On top of this, you know how it can be lucrative to you directly. However, you may not know how all this works. Let’s take a closer look at what happens to raw scrap metal during the recycling process. 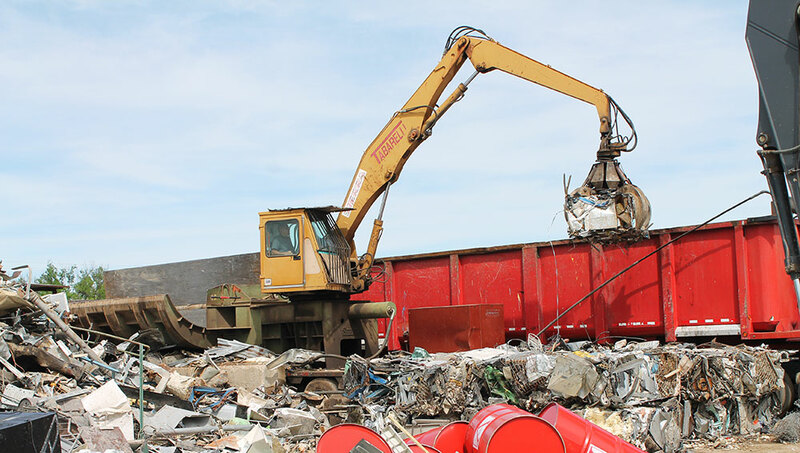 Recycling scrap metal can be lucrative and even fun, but it is important to know of the possible dangers and risks associated with scrap metal recycling as well. Knowledge of the risks allows you to better prepare yourself to gather, clean, and transport metal in the safest way possible—for you and those around you. 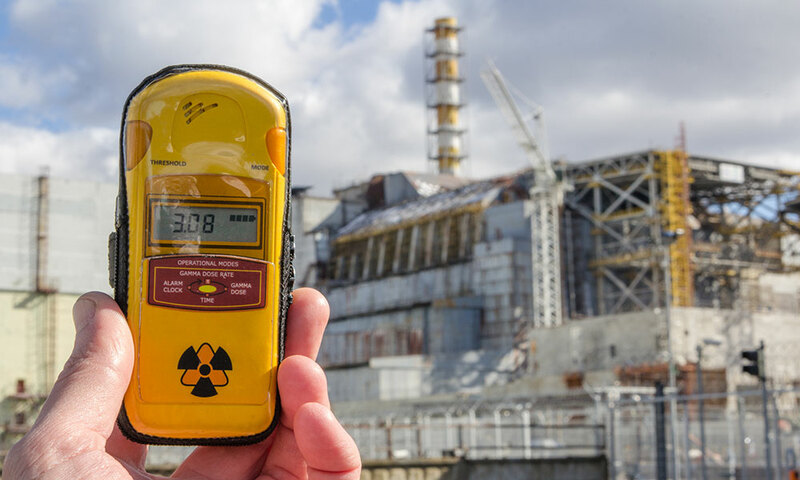 With these safety tips (and perhaps a quick look back at our post about radioactive scrap metals) you are ready to hit the road. Recycling scrap metal safety involves using the proper materials and equipment and knowing the right techniques to handle metal as safely as possible. 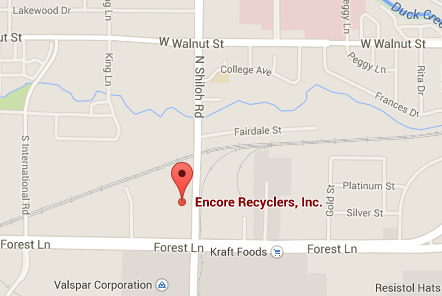 Once you have the right equipment and the right technique, you’re ready to safely recycle scrap metal with Encore. In order to recycle scrap metal safely, you’ll need a few important pieces of safety equipment. One of the most important pieces of safety equipment is a good pair of protective gloves. To maximize your safety, it’s best to use gloves of a heavy material (such as leather) that protect your forearms as well as your hands. Protective gloves are especially important when dealing with sheet metal, especially very thin sheet metal, as this can cut you very easily—however, proper safety equipment is even important when dealing with something as simple as aluminum cans. Any metal can hurt you if handled improperly. In addition to protecting you from cuts, wearing protective gloves will keep you from getting potentially harmful materials from dirty scrap on your skin. To fully protect from these materials, adequate clothing and eye protection are also needed. 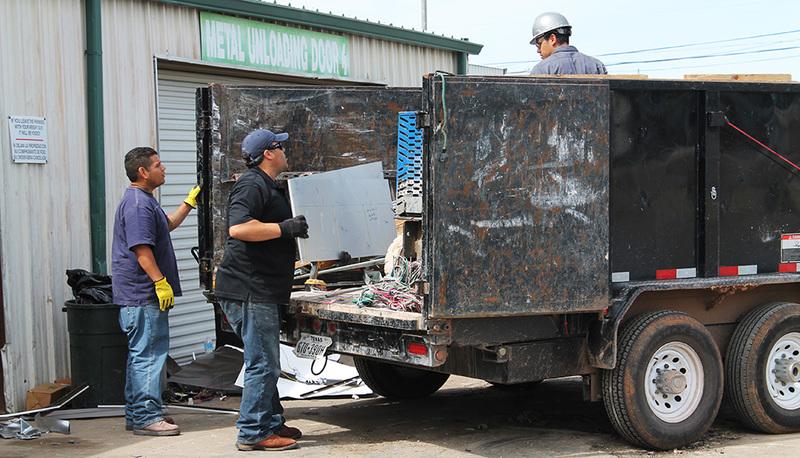 If you’re going to recycle large amounts of scrap metal, you’ll also certainly need a dolly to help with the weight. Lower back injuries are common among scrap metal recyclers, and can easily be prevented with the right equipment and proper lifting techniques.